Calvin Yoder is a bi-vocational commissioned minister with the Christian Church (Disciples of Christ). During the week, he can be found on the highways driving his tractor-trailer delivering much needed goods while listening to lectures by various professors about Christianity, Judaism, philosophy, etc. Calvin has a passion for learning and growing as a human, a Christian, and a minister. 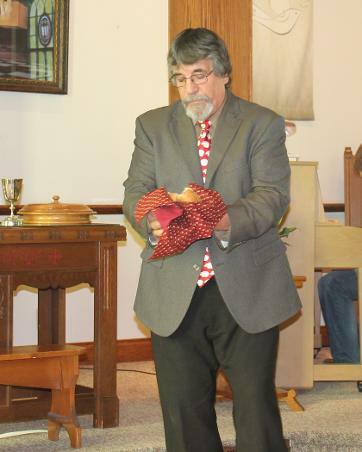 During the weekends, he brings blessings to the Canoe Camp Church family by taking on the role of pastor. He can be reached at 570-850-5809.